You can find many marvels in corners of a royal forest. Everyone can be amazed by the surroundings. Beautiful trees, splendid flora and magnificent animals. Can you see them? Just stay quiet and perhaps the deer will come out from behind the bushes again. 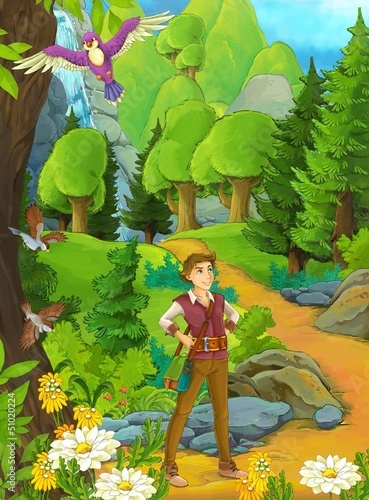 The photo wallpaper with forest energy will impart magic and charm to your child’s Kingdom.